Great Moral Leaders and Nations Face And Overcome Great Moral Crises. I keep repeating this statement wherever I go. Leadership is the key to America’s future. When leadership fails, the enterprise of democracy fails. When leadership fails to show moral courage in times of great moral crises the entire nation or organization risks going to hell in a hand basket. In the history of fallen empires and nations,the failure of moral courage is a common thread and often factors in their decline. At critical axis points in that nation’s history, some leader or leaders failed to make the hard decisions or made the wrong decisions and all was lost. Without oversimplifying here, it all boils down to one or two decisions or a series of decisions which can make or break a nation. Both the substance and nexus of those critical decisions often revolve around decisions which serve personal versus the public’s interest. It can also involve whether leaders speak out or remain silent in the critical transactions of real politics. There have been many leaders with moral courage in our nation’s history and many of them are with us today. The Rev. 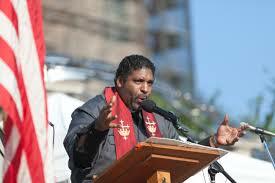 William Barber, Ida B. Wells, John F. Kennedy, Robert F. Kennedy, Elizabeth Cady Staton, Tip O’Neill and Ted Kennedy. 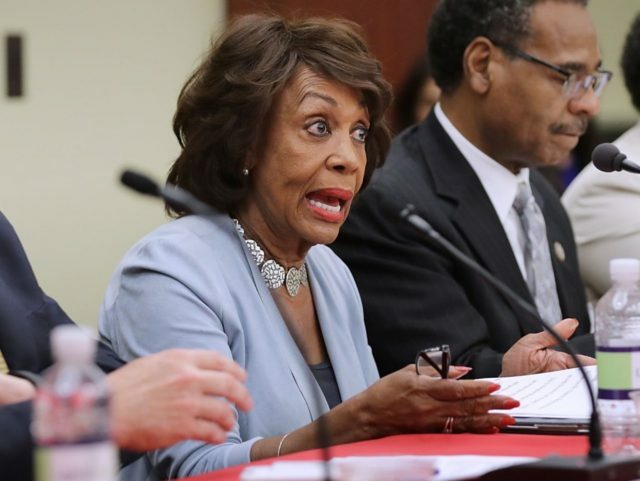 There are John Adams and James Madison, Shirley Chisholm and Maxine Waters and numerous others who have fought the good fight but too numerous to name here. History is permeated by the imprints of those great souls who have stood tall and worked hard for the greater good and made a decisive difference in the lives of the people of this nation. Such moral courage often means standing alone against a majority, in the words of Henry David Thoreau, or raising protest amid the silences of consent and conformity, giving voice to the voiceless and power to the powerless. It is the kind of courage which often risks life, liberty and limb and even the adulation or indignation of colleagues and peers. There is a common thread of liberty between the Revolutionary War and the continuing war for human and civil rights and freedom in our land today. We cannot speak of Jefferson without King, Adams without Abernathy, Franklin without Douglass, or Lincoln without Dirksen or Eisenhower. It often means taking the moral high road when the confinements of group think, the spirit of the herd instinct and the demands of party loyalty rebuke and nullify such actions. It means standing tall in the fray of battle when others take to the hills in fear. Where would we be today without those courageous leaders, those brave souls willing to trudge through hell and high water for family and country while incurring the rejection and contempt of their adversaries against the cross winds of repudiation, rebuke and reprimand? Where would we be if those courageous men and women had not faced and owned up to the current crises, stood up when faced down or threatened with a permanent put down by their opponents? Such men and women are not limited to one color or one class or creed or one gender or station or one political party or purpose, one faith or one way of seeing things. They are not beholden to the Procrustean politics of alienation and dismemberment. They are among the many and mighty. They are of every gender and persuasion, every hue and husk and every living faith or non faith. Such courageous people know the meaning of struggle and sacrifice and what it means to care for their neighbors or the stranger or fellow countrymen and country women in times of great need. Having endured the thorns of suffering, they have felt and identified with the pain and loss of others. They have compassion, empathy and sympathy and take no quarter or refuge among those cold and heartless souls who victimize and heap drudgery and misery on the least of these. Where would we be had they not broken ranks with those determined to do wrong? Where would we be without breaking the manacles of turpitude, taking the moral high road to lead the country back to the moral right road of freedom, justice, and equality for all? Friends, no matter how much we talk, prevaricate or pontificate the current political state of affairs in our beloved country; no matter how long we preach or pray or give lip service to the virtues of democracy, it means nothing without tried and true, fiery furnace, Daniel in the lion’s den leaders; leaders not just with jaw bones who talk a good game but leaders with vertebrae and back bone who will do what is right and good for all Americans. I just finished a third reading of John F. Kennedy’s Profiles in Courage which is a glorious testament to political leaders who had a greater vision for America and were willing to put it all on the line for their country which in the words of Alfred Lord Tennyson means giving their all that we might have all. I admired John F. Kennedy who had the moral courage to endorse legislation that even his father Joseph P. remarked it hurt his own pocketbook. Kennedy had vision and courage, charisma, compassion, wit, humor and intellect; leadership sorely missed in our country which has not been the same since the days of the New Frontier and his tragic death. He stood up during the Cuban Missile Crisis to the Joint Chiefs of Staff. He saw what nuclear war could do to untold millions. He deliberated, consulted, reconsidered and re-evaluated the data and options before him and took the prudent, rational course which ultimately led to the removal of those missiles and the evasion of nuclear annihilation and the establishment of world peace. Recent information reveals that the Soviets had more missiles on Cuba than first believed. Chris Matthews, one of the best and commentators today has done us superlative service in delineating the nuances of Kennedy’s leadership and character at a great, hopeful and critical time in our nation’s history. We need that leadership today. God do we need it. We remember T.R and the progressive movement; the bold effrontery with which he confronted the greed of Titans of Industry and demanded that they take more social responsibility by paying more taxes. It took moral courage to do what Roosevelt did. And there was FDR who was berated as a traitor to his class because he established the New Deal and made critical decisions to get the nation back to work after the Depression which angered many of the economic royalists because it meant that they would have to dig deeper into their pockets to lift their country out of the political and economic doldrums. Where is that commitment today? We miss former President Barack Obama and others before him who exemplified such character. There is also Lyndon Baines Johnson who possessed the moral courage to stand against other Southern Senators, without which we might not have had the Civil Rights and Voting Rights Acts of 1964 and 1965. LBJ knew that defying his closest political allies would ultimately spell disaster to his political career. It took moral courage for Johnson to stand up to them in that manner. There are other names of politicians whose careers ended in disgrace because of other indiscretions but risked everything to institute fair policies for the least of these. Adam Clayton Powell Jr. is one such person. Such leaders give us hope for a brighter tomorrow because they do what is morally right by going against the grain and swimming up stream. They lift our countenances beyond the lengthening shadows of our current crises. They speak life and promise to us because they are students of history, and hold fast to the sacred principles of our constitutional republic and The three Great Documents of Freedom. They may not always agree with colleagues and political constituents, but they understand that freedom is not free. They are willing to pay the price for truth, equality and justice. They see the hazards of rash, unstudied decisions which lead to quicksilver disasters as did Kennedy. They know the meaning of suffering. They have braved the arrows of war and trial. They are leaders tried by fire. And they know that not to act for what is right takes more strength but in the end stigmatizes their name in the annals of American history. I have also read Kareem Abdul Jabbar’s Profiles in Black Courage and countless other biographies from Frederick Douglass to Harriet Tubman to James Madison and Winston Churchill and their numerous heroic feats of courage during times of great crises. “Not failure but low aim is the crime,” says James Russell Lowell. They were not perfect persons but flawed human beings as we all are. But their vices did not eclipse their virtues. They understood the power of the moral compass, the higher propensities of the human soul, and took flight ethereally with the better angels of their nature and fathomed every decision that they made would have a larger moral impact on the nation for many years to come. It all boils down to strong, hopeful, compassionate, resilient and visionary leadership; leadership willing take risks; leadership which will do what is morally right because it is right and not leadership committed to reckless policies which commit us all to political, economic and ecological suicide in legislative installments because they lack the moral courage to make the hard decisions. Leaders with moral courage have turned the tide and changed the course of American history and world history because they possessed the courage to stand and fight for right. I am grateful for flashes of that leadership in our country today from the Fourth Estate, the media, the Judicial and Legislative branches of government, the Department of Justice, the CIA, FBI and other agencies, the Democratic Party, some Republicans, and the people and their movements who’ve had enough of this mess and are pushing back and resisting being overrun by the Imperial Juggernaut and Leviathan in the words of Thomas Hobbes. We have today a vivid example of a great democracy close to running off its rails. The failure to take full responsibility to remedy the current crises has put us on a disastrous course of hellish, nightmarish proportions if current trends continue. Most everything that is happening today is leaving an open door to our enemies. We are playing with fire if we do not act deliberately and expeditiously. The philosophy of the duck is helpful here. Remain calm on the surface but paddle like crazy underneath to stay afloat. Let the nation beware. Let the leaders beware. Let the people beware. If they refuse to hear us, we must go to the ballot box and replace them with persons who care about our country and all Americans and the future of our Republic. But the ballot box must be right. So stop pilfering away America’s future. Stop wasting our country’s potential by not building up America. Stop lying and cheating and demonizing American values, American institutions and the American way of life. We may not always agree with the decisions made and how America has treated us but we still love our country. Stop beating down and threatening those at the end of their tethers. Such sorties against the common man and woman require no courage at all but are simply the dastardly acts of bullies delighting in adding insult to the people’s miseries like taking away their health care and giving tax breaks to wealthy. Stop normalizing this madness; the incendiary, insidious processes of cuckoos nest politics. Friends, America is not a perfect place, but it is still one of the best places on earth, said the late great Sydney J. Harris paraphrasing a statement by the late Robert Maynard Hutchens of the University of Chicago who once observed, “the university isn’t a very good school—it’s just the best place there is.” But rest assured it won’t be the best place for long if we keep going down this terrible path. Stop decrying government when you are turning government over to the private sector whose mission is to extract more blood from the turnip, more profits for the investor class, and leave the middle class and everyday folks out in the cold. What happens to a great nation when political leaders fail to take responsibility for their errors of judgment and refuse to change their ways? Where there is no vision the nation perishes. Where there is no moral leadership the ship of state bows toward a ruinous, perilous course of no return. God give us leaders who in times of great moral crises do not maintain their neutrality, to paraphrase Dante Alighieri, but rise to the occasion and speak truth to us to steer us from all present and future dangers. We have come too far and we have fought too long to see our country destroyed by selfishness, ignorance, and arrogance by so called leaders who care nothing for the people and would rather see it collapse than do what is right for all Americans which in the long run only makes our country a better and more compassionate nation. In times of great moral crises, we need great moral leaders to do what is right because it is right and not leaders afraid to make the hard decisions because they fear losing their jobs or losing elections because our very future is at stake. We must admit the truth, face reality, possess moral and physical courage and step up by breaking ranks with untruth, bigotry, and the folly and fear which vaults us all into the maelstroms of oblivion. God help us all. God touch and transform those leaders who can make a difference in the coming days and hours of our beloved country the United States of America. God bless America. God help us all. God bless us all!